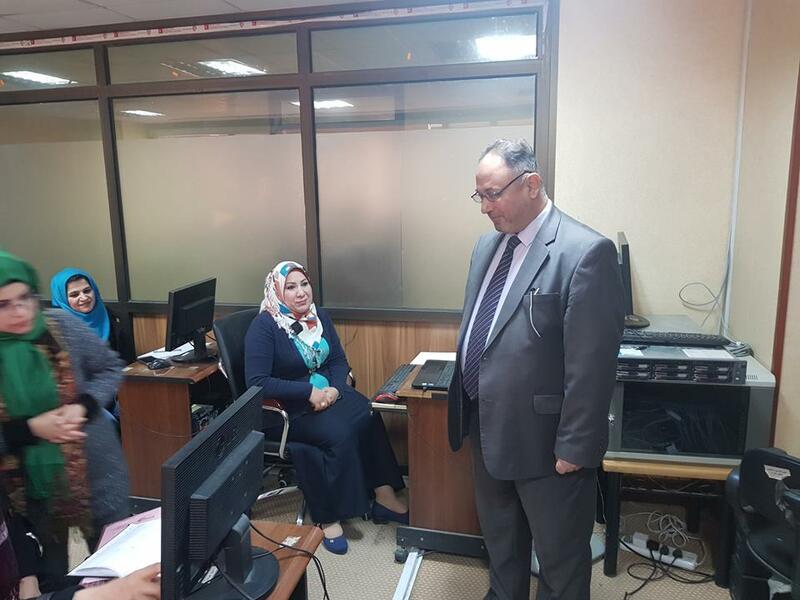 The President of the University visits the laboratories of postgraduate applicants' tests. The President of the University visits the laboratories of postgraduate applicants' tests The President of the University of Information Technology and Communications, Dr. Abbas Mohsen al-Bakri visited the Department of Continuous Education to inspect the conduct of training courses for English and computer proficiency tests organized by the University. Al-Bakri met the employees of the Department of Continuous Education and urged them to make more efforts to serve the students and employees of other institutions in particular and the society in general because the department is in direct contact with the audience of the university through training courses and proficiency of English language and computer for postgraduate students in Iraqi universities. Al-Bakri stressed during his tour the need to create and provide all the necessary requirements to perform the competitive examination of applicants for postgraduate studies in the computer and English language because it is important in the process of admission and access to the postgraduate studies. 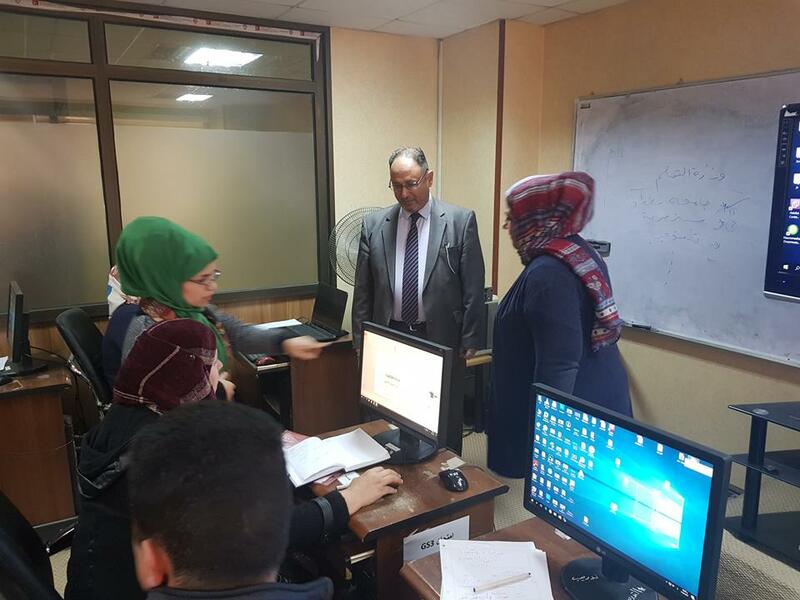 The Department of Continuous Education associated with the presidency of the university and all its staff had prepared laboratories and halls with Computers and internet lines for the success of these courses. It should be noted that these tests come in accordance with the instructions of the Department of Research and Development in the Ministry of Higher Education and Scientific Research as one of the requirements for submission of postgraduate studies within Iraq, and the Department of Continuous Education is the center responsible for these tests in the university according to specific dates and timetables.